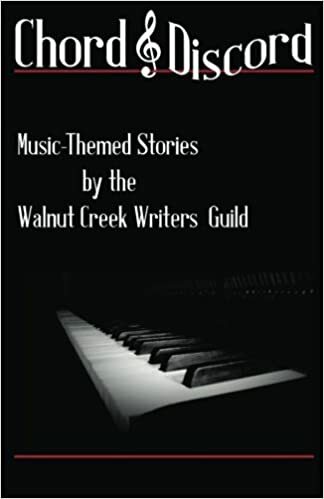 The Book Shelf contains works published collectively as a Guild and also those published independently by members of the Walnut Creek Writers Guild. As you peruse the titles on the shelf, we hope you will find something that piques your interest, and if you do, we ask that you leave a review for the author either on this website’s comments section or at Amazon.com. We encourage you to come back to The Book Shelf on a regular basis to see what new and exciting wonders magically appeared while you were away. We’ve just published our second anthology, a collection of music-themed stories that cover a variety of genres: drama, romance, fantasy, sci-fi and more. Enjoy! Description: The story of the Tom Davies Trio is a book for everyone who loves vaudeville and variety theater, the early days of bicycle racing circa 1900, and the history of these motorcycle performers who originated the daring wall of death. Beginning at the end of the 1800’s with Tom Davies’ bicycle racing career, follow three men from Manchester, England as they took their act, ‘Motoring in Mid-Air’ to theater stages around the globe for more than thirty years. To purchase Kathy’s book, click here.. Description: Felix misses his dog and is on his own for the holidays. Luke is a chocolate Lab whose owner is whisked off in an ambulance and never returns. In this winter’s tale, written for adults, we find out that sometimes a well-intended bit of deception can be a good thing. Description: What do a boy on a train, a girl wandering through a post-apocalyptic landscape, a nurse cleaning a belly-button, an ex-cop dealing with scam artists, an American learning to drive in England, a tourist venturing off the beaten path in Prague, a woman trying to find the truth about love, and a stranded motorist facing ultimate horror all have in common? The answer can be found in nine original stories by authors exploring The View From Here, an original anthology created by the Walnut Creek Writers Guild. Available in paperback and e-book formats, The View From Here is available at Amazon.com, Barnes and Noble, and at other bookstores.